Our school is named in honour of St. Joseph, the step-father of Jesus and spouse of Mary, the mother of God. Through the scriptures we know that St. Joseph was a compassionate, kind and patient parent and husband. A descendent of David, St. Joseph was a humble man who worked hard as a carpenter to provide for his family. St. Joseph provides us with a model of how to be faithful followers of God, even when it is difficult. 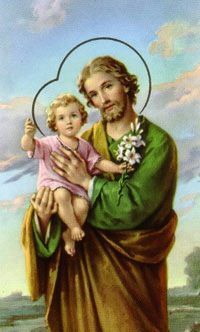 March 19th, is the feast day for St. Joseph. St. Joseph is the patron saint of workers and protector of the Catholic Church around the world.